Melbourne is a beautiful city with many outdoor activities including beaches, fishing, golf, snorkeling, and much more. The beaches are great for basking in the sunshine during the day or taking a romantic moonlight walk with a tropical breeze during the night. Some of the most beautiful beaches along the Atlantic Ocean are only 5 to 10 miles away from Melbourne. Known for its galleries, including Foosaner Art Museum, Melbourne is located in the Eau Gallie Arts District on the Indian River Lagoon. The city is jam-packed with plenty of entertainment possibilities for its residents. From shopping and dining to amusement parks and beaches, Melbourne has it all. The city also upholds an extensive park system with over 232 acres of parks with many different activities to enjoy such as bike trails, playgrounds and picnic areas. Not only is Melbourne a great city for entertainment, it is also a great place to settle down and raise a family. There are over 250 things to do with children in Melbourne including Fun Town, Dolfun Tours, and Melbourne Civic Theatre. In comparison to the rest of the country, Melbourne’s cost of living is much lower than the United States average. Melbourne offers a great school system for children in all grades, and is also home to multiple accredited colleges. With a low unemployment rate of 4%, Melbourne offers plenty of employment opportunities to its residents. Melbourne is home to many different defense and technology companies, making it a thriving city of high-tech workers. Being the center of the city, the Melbourne Orlando International Airport provides many jobs to residents in the area. There are also plenty of retail businesses, hospitals and tourism spots. With attractions, beautiful sunny weather, arts and culture, Melbourne is a wonderful place to call home. Visit one of our beautiful Aspen Square Apartment Communities located in Melbourne: Beachway Links Apartment Homes or Grand Oaks at the Lake and enjoy maintenance-free, worry-free, and income tax-free living. Both Beachway Links and Grand Oaks at the Lake offer one, two and three bedroom apartments in Melbourne, FL. Beachway Links offers its residents a car care center, a sand volleyball court, and a playground for the kids. 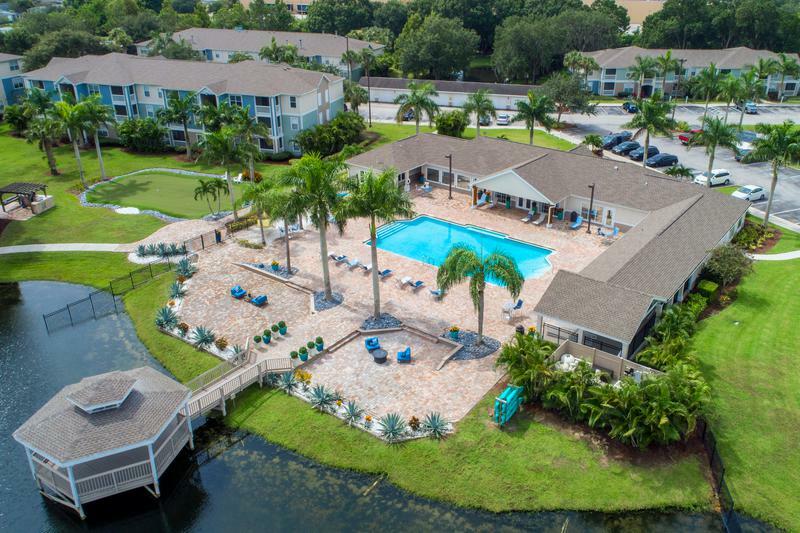 Grand Oaks, our luxury apartments in Melbourne, FL, offers lakeside living featuring a jogging path around the lake, a putting green, complimentary kayak rentals, and so much more. Bring the whole family to our apartments in Melbourne, Florida, because we’re pet-friendly, including large breeds! With an off-leash dog park with agility obstacles and pet events, we can’t wait to welcome your furry friends to their new home. 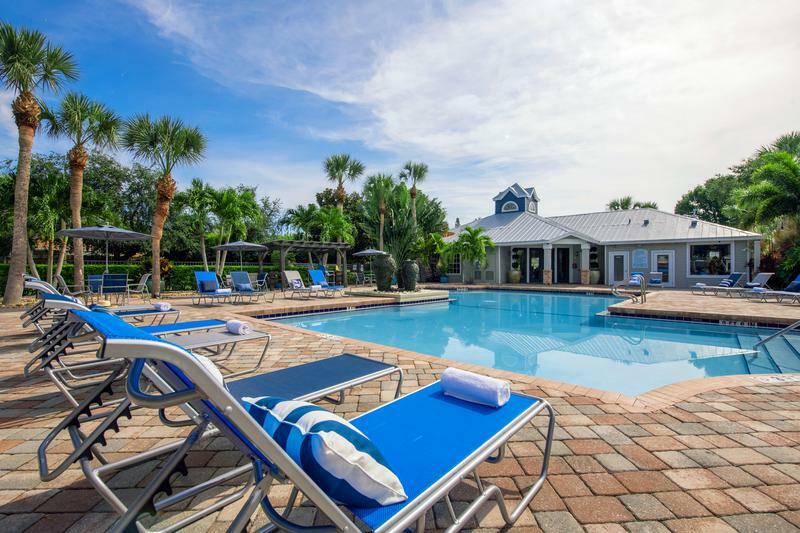 All residents can enjoy our resort-style pool, with a picnic and grilling area and access to a yoga studio and 24 hour fitness center with all the equipment you’ll ever need. All apartments feature modern, open-concept kitchens with white cabinetry, granite-style countertops, and stainless steel appliances. You’ll enjoy everything our apartments have to offer with central AC and heat, optional wood-style flooring, walk-in closets with built-in shelving and more! Learn about your new homes at Beachway Links or Grand Oaks at the Lake!